Firstly, I’m sorry I’m so late this morning. Between backup work leftover from the holidays, our family getting hit by the stomach flu, a midweek post on vintage furniture, and yet another snow day — I just didn’t have a post ready until I sat down this morning well after the time my posts usually go out. However, I think I’ve come up with a down-and-dirty topic that we can cover pretty quickly and yet will be useful to you — saving money on window treatments. “That is a quick topic?” you ask incredulously. 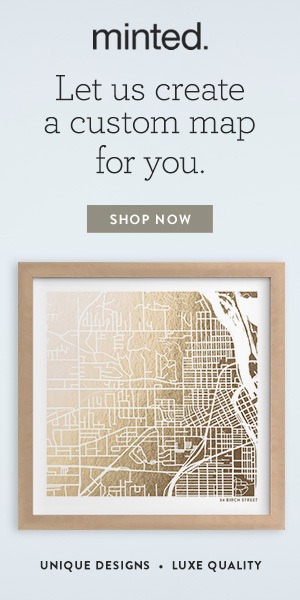 Well, yes, because I’m only going to cover one way to save money — Roman valances. Nearly all window treatments these days are either simple pleated drapes (My favorite is the Euro-pleated, though French is nice, too, and either touching or breaking on the floor. But that’s a story for another day.) or a type of Roman shade. Both look great with upscale and more relaxed decor, and neither is likely to become dated or look too fussy. The above picture shows how both styles of window treatments (that’s a French pleat on the drapes) can be used at the same time. Why? Well, for the look and for a variety in light control/privacy options. Now, before you read any further, go and read Laurel Bern’s post on Roman shades. It’s the best and will give you everything you need to know about the style, and then come back here to learn how to save money. You have A LOT of windows to cover. The fabric you’ve chosen is expensive and you want to save fabric. You want to use a dark fabric on your window treatments, but don’t want your room to be completely dark when the shades are drawn. If any of the above apply to you, read on. 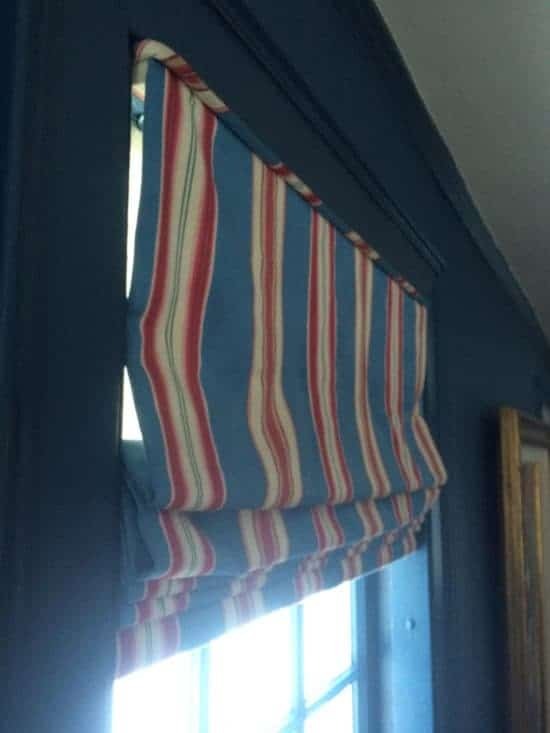 You can use ROMAN VALANCES. What are these? Well, I learned about them from one of my mentors, designer Dena Hamilburg. I used them in my library, and I’ve since used them for two other clients. In the case of my library, there are 7 windows and the Pierre Frey fabric I chose was well over $100/yd wholesale. Furthermore, the afternoon/evening light streams into this room. Until I can afford to put UV coated storms on these windows to prevent fading to rugs/fabric/paint, I need to be able to draw these shades when no one is in the room, but I don’t want it to be a dark box either. Enter the Roman valance, aka faux Roman shades. Roman valances have some bulk to them, with 4 folds to the fabric. A Roman valance for a client in Robert Allen’s Ponderosa Pine. They look like they can go all the way down, but they don’t. They are usually stationary, but with a little toggle system to make slight adjustments. 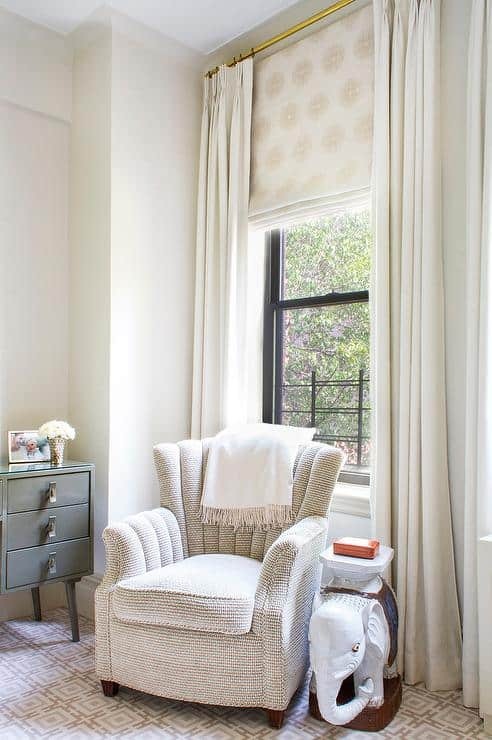 For a 54″ long window, you need about 2 yards of fabric for a full Roman shade, if the window is less that 48″ wide (remember, most fabric only comes in 54″ widths). 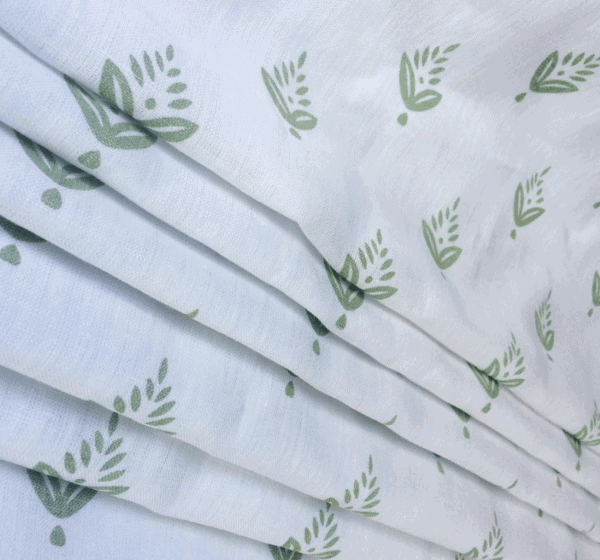 For a valance, you need about 1.25-1.5 yards. In the case of my library, that small fabric saving amounted to almost $500. If your windows are wide, the savings could be more. But what if you need privacy? Or to protect your furnishings from the punishing sun and you need full coverage? Use a cheapy cellular shade. No one will see, and it will look fine from the outside. Obviously, your windows need to have a deep enough casing to be able to drill a cellular shade to the inside top rail. I used these cut-to-order cellular shades from Lowe’s. Are they high quality? No, but they have lasted me 4 years so far without a hitch. I did buy an extra shade in the color I wanted just in case one of mine broke down and the colorway was discontinued in the future. In the afternoon, I pull the cellular shades, and lots of opaque light still comes through. Is it elegant? No. It does hurt my decorator soul a bit, to tell you the truth, but if we’re practicing music, hanging out, or have people over, the cellulars stay up and I let the furniture fade for a day. The kicker with Roman valances? You won’t be able to have a Big Box shade store make them for any less that a normal shade. I have my drapery workroom make them (I was lucky to find the workroom that handles all of Ethan Allen’s window treatments — yep, at a BIG markup), and they look amazing. But if you do a Yelp search, I bet you can find a seamstress who would be happy to do something like this if you show her what you mean. Or you could use Lynne Chalk from on my post on getting a decorator look when you aren’t using a decorator. A little graphic for your pinning pleasure. Any questions or thoughts? I hope this has been helpful! Again, sorry for the lateness. Hopefully, you’re still on your first cup of coffee!